Anyone can be pulled over while driving, and if you are DUI of drugs or alcohol, a routine traffic stop can lead to an arrest. A DUI arrest can be a scary experience, and you may not know what to expect. However, understanding what will happen if you are pulled over and arrested for a first-time DUI will make the experience easier to handle. Even if you feel under control behind the wheel, if your blood alcohol content (BAC) is higher than .08% this is considered drunk driving, and you can be arrested on DUI charges. In many cases, a driver will be pulled over for a different reason, such as having a tail light out or speeding. If the police officer who pulls you over has reasonable cause to believe you are under the influence, they can ask you to take Field Sobriety Tests. These tests consist of being asked to get out of your car and performing tasks meant to assess your cognitive functions and ability to operate your vehicle safely, such as reciting the alphabet or walking in a straight line (whether these tests accurately assess alcohol influence is another subject altogether). You may also be asked to take a Preliminary Alcohol Screening, which is also known as a breathalyzer test. This test will measure your BAC, and it often determines whether an arrest can be made. If you fail (or as the report may state “did not complete as explained and demonstrated”) or refuse these tests, the police officer will likely arrest you for DUI, and you will be transported to jail or a sobering center and formally charged. You will be asked to take a chemical BAC test of your breath or blood. If you refuse the post-arrest “chemical test” of your blood or breath, or fail to complete it, this can lead to a lengthy suspension of your license – even if you are under the limit. The officer will likely take your driver’s license and issue you a pink temporary license, which kicks off an administrative process at DMV that is separate from the court process. If you do not request an administrative hearing with the DMV within 10 days, your license will be automatically suspended. Millions of Americans travel back and forth to Canada every year. Most of these visits are short day-trips into the country or last only for an overnight stay. When asked at the port of entry, the three primary reasons which people gave for travel are: pleasure, business, and visiting family. It may surprise you to learn that many of these attempted visits were unsuccessful due to an outstanding charge here in the United States. If you have been convicted of driving under the influence (DUI), you may want to reconsider any prospect of traveling to visit our northern neighbors. According to new research, people's attitudes towards driving under the influence of alcohol change after they have consumed two or more alcoholic beverages. Even people who normally find it very distasteful to drive under the influence of alcohol find that their attitudes are not so stringent when they are asked about it after having a few drinks. The researchers measured the difference in attitudes towards DUI among subjects when they were sober, and after they had consumed a certain amount of alcohol. The vast difference in attitudes towards DUI among people when they were sober and when they were in an intoxicated state was very startling to the researchers. According to the researchers, they did expect that drinking alcohol would soften people's attitudes towards driving under the influence of alcohol, because alcohol does tend to impair judgment abilities. People, who normally would never do anything stupid while sober, end up making surprisingly stupid decisions after a few drinks. I Have a High Alcohol Tolerance. Will I Be Arrested for DUI? One of the biggest misconceptions when it comes to DUI is the belief that a person with a high alcohol tolerance will not be arrested for DUI. Your alcohol tolerance has actually nothing to do with your potential for a DUI arrest. Some people have an enhanced tolerance for alcohol. That tolerance comes through years of drinking. 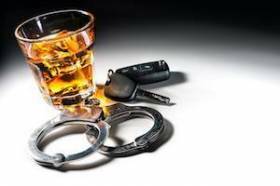 Tolerance for alcohol however doesn’t impact your likelihood of being arrested for DUI. One person who has just had a couple of alcohol beverages could be very pleasantly buzzed. Another person, however, may have had a larger quantity of alcohol, and continues to drink because he doesn't feel the intoxicating effects of alcohol. The second person may be at a high risk of being arrested for DUI, because his blood alcohol concentration could have breached the .08% legally permissible level, because of the higher numbers of alcoholic beverages that he has consumed. He could be arrested, even though he does not show any external signs of being intoxication. In other words, this person may not even have a “buzzed” feeling, may not have slurred speech, red eyes, or any of the other signs that people typically associate with intoxication. Can I Lose My License If I Refuse an Alcohol Test? Refusal of an alcohol test comes with a string of penalties attached. In fact, this is one of the reasons why attorneys typically do not advise refusing an alcohol test. The law in California specifically requires all motorists to submit to an alcohol test, if they are asked to submit to a chemical test by an officer. If you refuse to take the chemical test, then you may have a number of penalties that apply to you. One of those penalties is related to the suspension of your driving license. There are a number of different types of penalties involving suspension of the license. For example, if you were above the age of 21 at the time of the arrest, then your refusal could possibly result in a suspension of the license for a year if it was a first offense. If it was a second offense within 10 years after the first offense, then you could lose your license for two years. A third or subsequent offense will result in a revocation of the license for a period of 3 years. If you were below the age of 21 at the time of the refusal, then you will lose your license for a period of one year for the first offense, and two years for a second offense. A third offense within a period of 10 years will mean that you lose your license for three years. A Florida mother is in deep trouble after a DUI incident in which her children reported her behavior. The woman was driving with her children and at least three other 11-year-old kids, when the children stopped the car, and ran out into a nearby restaurant. They told people in the restaurant that one of the children&apos;s mother was driving them under the influence of alcohol. Her driving scared them so much that they felt that they had to get help. According to the children, the woman was very drunk and was swerving all over the road. She struck a pole, and that incident resulted in damage to the car. However, when they came to a stop outside the restaurant, the children jumped out of the car and ran in for help. Across the Southern California region including across Santa Ana and Los Angeles, law enforcement officers are gearing up to kick off the most intensive holiday DUI crackdown of the year. Several law-enforcement agencies in Southern California are participating in the effort to get drunk drivers off the street. If you are driving under the influence of alcohol over the next few days, your chances of being arrested for DUI are the highest in the year. The special task force that has been designed to help crack down on intoxicated motorists is the Avoid DUI Task Force. The message is clear - Drive Sober or Get Pulled over. The campaign is a no-tolerance campaign that is targeted at getting intoxicated motorists of the road. The counties of Los Angeles, Riverside, San Bernardino, and Ventura are included this year in the task force&apos;s efforts. A Riverside woman, who seems to have run over her father in a tragic accident while she was under the influence of alcohol, has been arrested. According to police, the woman has been arrested on suspicion of DUI after the accident in which she struck her father with her car, while under the influence of alcohol. The father was trying to convince her not to drive while drunk. The woman has been drinking at home, and arguing with family members. She seems to have rushed outside her home, and tried to drive off in her car. Her father tried to persuade her not to drive since she had been drinking. However, she refused to listen to him, and when he tried to prevent her from driving off by standing in the driveway, she struck him as she was backing out of the garage. The father was rushed to the hospital where he later died. The woman was arrested on suspicion of DUI, and after investigation, could actually face more charges. The families of the victims of a fatal DUI car accident are protesting a fundraising initiative by the family of the driver of the car involved in the accident to pay for his legal fees. The accident occurred when the driver drove his car off Interstate 8. Two of his friends in the car were killed in the accident. According to prosecutors, the intoxicated motorist had a blood alcohol level of .30 at the time of the accident. They have filed murder charges against him. He has a prior DUI conviction on his record. His family and friends have gone on a fundraising effort to raise money through donations for his legal defense. However, they are being criticized by the families of the victims who were killed in the accident, for those fundraising efforts. Could the secret of avoiding drunk driving be as simple as eating yeast before you begin drinking your beer? According to one beer connoisseur, it definitely is. Jim Koch, who happens to be the chairman and cofounder of the Boston Beer Company, recently admitted his long-held secret to avoiding the effect of drinking, even after several beers. According to him, he consumes standard regular yeast mixed in yogurt just before he begins drinking. The standard prescription is one teaspoon for every beer. According to his experience, the yeast breaks down the alcohol in the stomach, and thereby prevents the alcohol from being observed in the bloodstream. Therefore, according to him, there are very few of the intoxicating effects that are normal after having a few beers. The theory is that the yeast breaks down the alcohol molecules into components of hydrogen, oxygen and carbon, right in the stomach before the alcohol moves to the liver. Therefore, there are few of the intoxicating effects of alcohol that are very often seen when a person has had 5 to 6 beverages. Tough laws, stringent enforcement and education initiatives - colleges around the country have experimented with many strategies to reduce the risk of underage drinking on their campuses, and have failed. Many colleges have now begun experimenting with less conventional methods, in an effort to reduce binge drinking on campus. Binge drinking is the consumption of five or more alcoholic beverages in a single session, and it is one of the most dangerous behaviors that a college student can engage in. Binge drinking is strongly linked to DUI. In a new study, researchers at the University at Buffalo, State University Of New York found that talking about the risk between drinking alcohol and dying in a fatal accident is not an effective way to reach out to college students. However, students pay more attention to the dangers of drunk driving when they are told about the possible association between drinking alcohol and cancer. The researchers found later that those students who believed that there was a strong association between alcohol and cancer were actually much less likely to binge drink. If you&apos;re the parent of a teenage driver, you might want to keep tabs on the kind of friends that your child is hanging around with, if you aren&apos;t already. Pay special attention to the alcohol and drug practices of your child&apos;s friends. If his friends are comfortable with using alcohol or drugs, and driving under the influence of these intoxicants, then it is very likely that your child will also indulge in the same practices. According to the results of a new study, teenagers very often tend to copy the practices of their friends, when it comes to driving under the influence. The study very clearly found that older high school students were much more likely to drive while intoxicated, when they had friends who frequently drove intoxicated. It shouldn&apos;t be hard to understand the reasons for this. When an impressionable young teenager is frequently exposed to friends who find nothing wrong in driving while intoxicated, the teenager is much more likely to believe that such practices are perfectly normal. Parents play a huge role in helping reduce the risk of underage DUI, and this is one of the things that you can do as a parent to reduce the risk of an underage DUI arrest, involving your teenage child. Step in to end such undesirable friendships in high school, even if such actions prove to be unpopular with your child. Teen singing sensation Justin Bieber was arrested recently in Florida for DUI and drag racing. He is now out on bail. He was arrested after a police officer saw him heading down a street in Miami Beach, driving a yellow Lamborghini at excessive speeds. According to officers, they were alerted because the star was driving at least twice the speed limit at the time. When he was pulled over, the officers noticed several signs of intoxication. He seemed drunk, and smelt of alcohol. According to officers, he had a look of stupor on his face, and when he was ordered to get out of the car, he made very slow and deliberate movements. When the officer asked him to put his hand on his vehicle so that he could be patted down for weapons, Bieber refused to do so. He became uncooperative and argumentative. He failed a DUI sobriety test, and was then taken to the station for a breathalyzer test. Officers also found that he was driving with an invalid license. The National Highway Traffic Safety Administration recently unveiled a massive $7.5 million ad campaign, aimed at reducing the incidence of drunk driving over the holiday season. The latest series of ads run by the federal agency feature none other than RoboCop, which the federal agency says it has “enlisted” to crack down on drunk driving this season. In the ad, the agency teams up with science fiction thriller RoboCop, which is set to be released within the next few weeks to launch a new trailer/public service DUI announcement, that warns drivers that they must drive sober or will be pulled over. As RoboCop appears on the screen, a voice-over states that cops are stepping up in their mission to protect the streets from drunk driving. The same actor who plays the lead RoboCop in the movie, is shown catching a potential intoxicated motorist holding up his car keys, and telling him “I’d put those down if I were you”. Obviously, this is a gimmicky campaign that is meant to capture eyeballs, and it is likely that it will accomplish its purpose. After all, during the busy holiday season, with a much higher incidence of driving under the influence of alcohol, the federal agency&apos;s does find itself strapped for ideas and stressed for resources to help get the anti-drunk driving message out and effectively. This is a unique campaign and is likely to get many people talking, and therefore, raise more awareness about driving under the influence of alcohol. A DUI verdict that was delivered in a small juvenile court has reverberated across the country. A judge in a Fort Worth Juvenile Court recently sentenced a 16-year-old boy to 10 years of probation after he confessed to charges arising out of a fatal drunk driving accident that occurred on a rural road. Four people were killed in the accident, and at the time of the crash, the teenager tested positive for a blood alcohol concentration level that was at least three times the legal limit of .08. His defense lawyers brought to the stand a psychologist who testified in his defense that he suffered from a condition called affluenza. According to the psychologist, this was a syndrome that prevented children like this teenage boy, from learning that bad behavior can have serious consequences. As a result of the syndrome, the boy failed to realize that bad behavior and breaking the rules can have serious consequences, and hence, his poor judgment in driving under the influence of alcohol. The psychologist also brought attention to the fact that the boys parents had failed to punish him for equally poor behavior in the past. Prosecutors understandably are livid at the judgment, especially since they had sought the maximum sentence in this case, which would have amounted to 20 years in prison. However, the lawyers were very successful in convincing the judge that what the boy needed was not time in prison, but rehabilitation. Law enforcement believes the two motorcycles were traveling at a high rate of speed on the 10 freeway. Police say both motorcycles were weaving in and out of traffic before the two bikes collided. Law enforcement claims the motorcycles were traveling eastbound on the 10 freeway when the trailing motorcycle clipped the rear end of the lead motorcycle just west of the 405 freeway. Both motorcyclists were thrown from their respective bikes at a high rate of speed. The 23-year-old biker on the trailing motorcycle that reportedly ran into the rear end of the lead bike was killed in the accident. The 29-year-old biker on the lead bike suffered serious personal injuries and was transported to UCLA medical Center for treatment. Law enforcement officials took the 29-year-old man into custody at the hospital. Law enforcement claims the man who survived was intoxicated at the time of the Sunday afternoon motorcycle crash.